We have mackerel fillets available which are made of the Atlantic mackerel. This type of mackerel is also known as the Boston mackerel or by its Latin name, which is Scomber scombrus. You can find the fish in the north-eastern part of the Atlantic Ocean, the North Sea and around the British Isles. This area is also known as FAO 27. Since the Atlantic mackerel can be caught in the North Sea, we are able to catch the fish ourselves. After the fish is caught we only take the best ones and clean and freeze them immediately to prevent them from being spoiled. Afterwards we bring the mackerel to our company where they are made ready to be sold. As a supplier we sell our mackerel fillets with their skin. The mackerel is a oily fish which contains a rich flavour. The texture of the fish is delicate and the meat is soft, flaky and moist. One hundred grams of mackerel fillets will contain around 250 calories. While this may seem much, we can still recommend you to eat this delicious fish. Among other things, the fish contains a lot of proteins and vitamins. Moreover, it is said that the mackerel is one of the most healthiest fish as it contains a lot of omega-3 fatty acids, which are proven to reduce the risk of a heart disease. 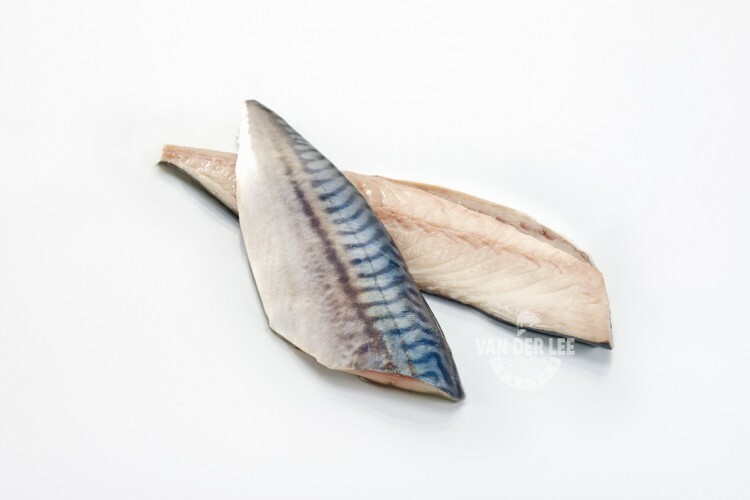 The mackerel is a very important fish for Dutch fisheries since it can be caught in the North Sea. Moreover, the fish is eaten around the whole world as it is one of the most consumed fishes. We export our mackerel fillets mainly to Italy. However, mackerel fillets with too much or too low fat are often transported to Africa. There are several ways to prepare mackerel fillets. For example, you can smoke, bake, roast or grill the fillets. The fillets work really well with strong spicy flavours and are also suited to be put into a salad. However, you should avoid serving them with cream-based sauces since the fillets are already enough of a stomach filler.